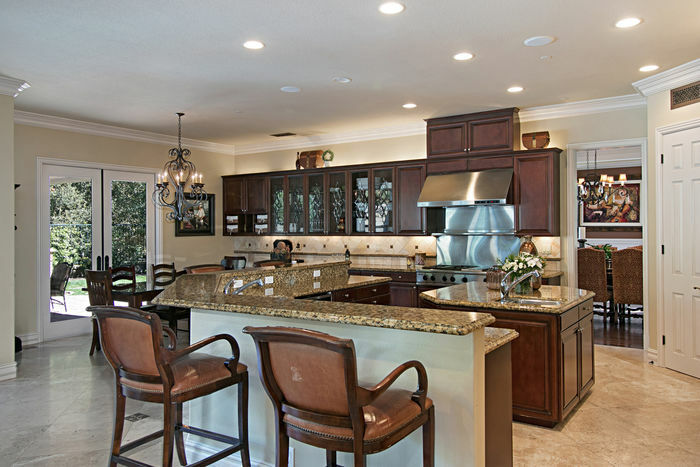 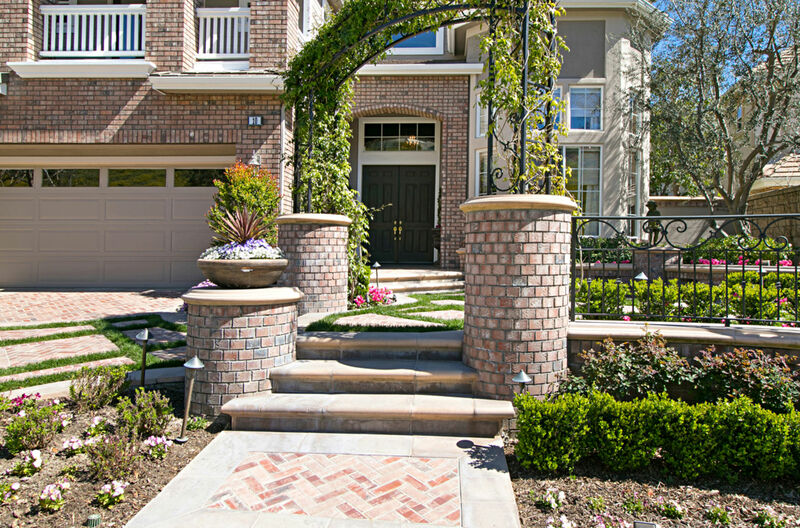 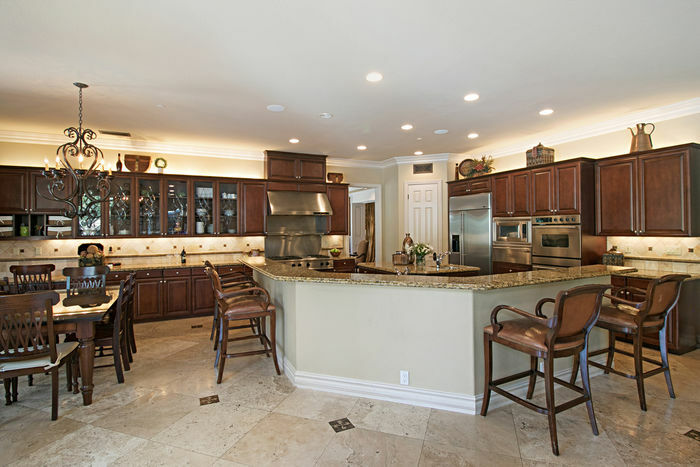 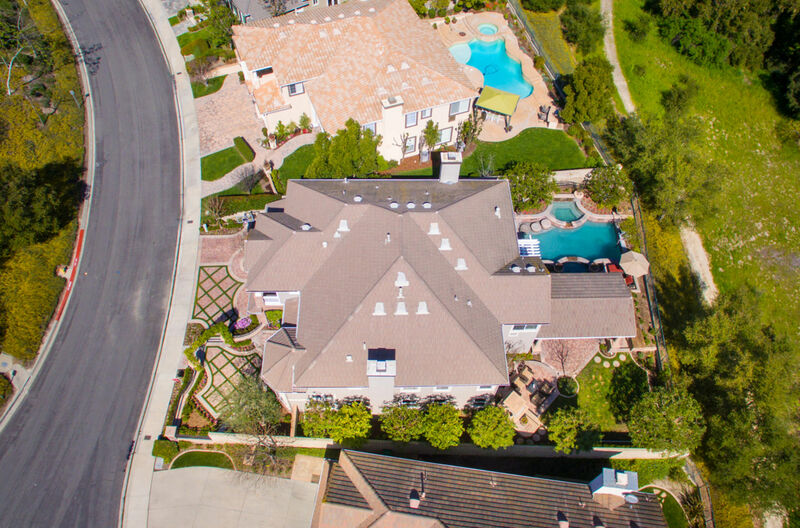 Elegance, privacy and uniqueness define this signature Toll Brothers property located in the highly desired community of Coto de Caza. 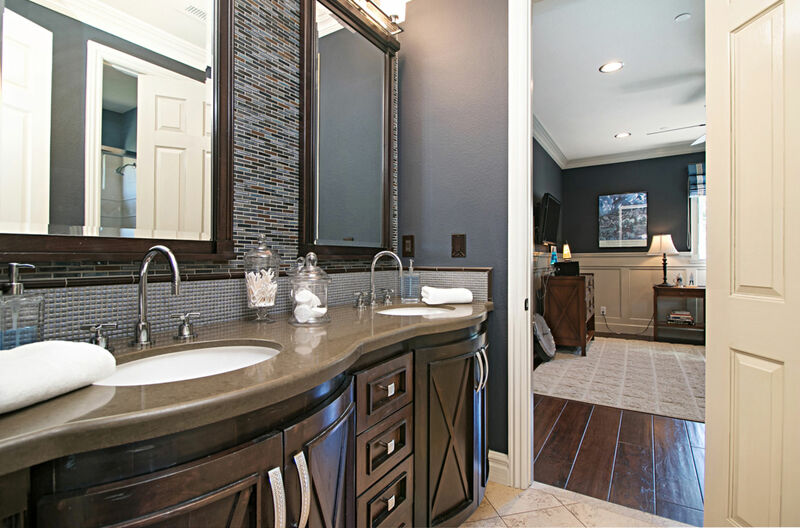 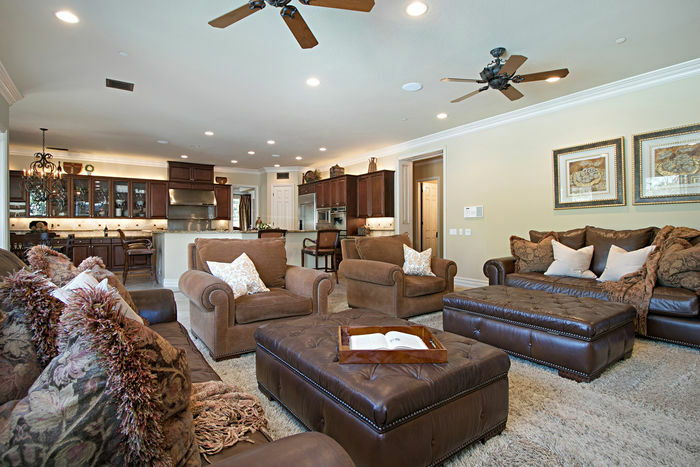 The award winning “Silverado” model design is finished with the finest amenities that rival those found in only the best of custom homes. 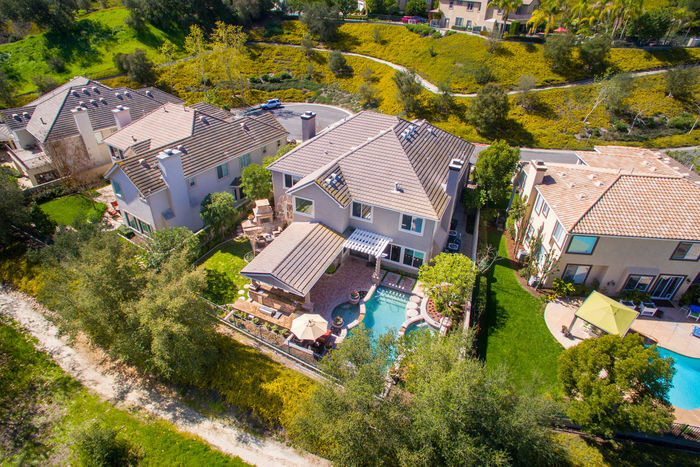 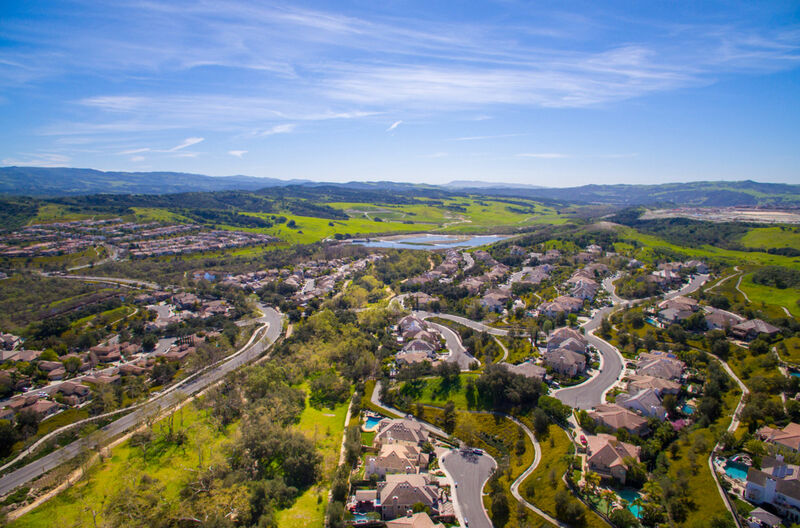 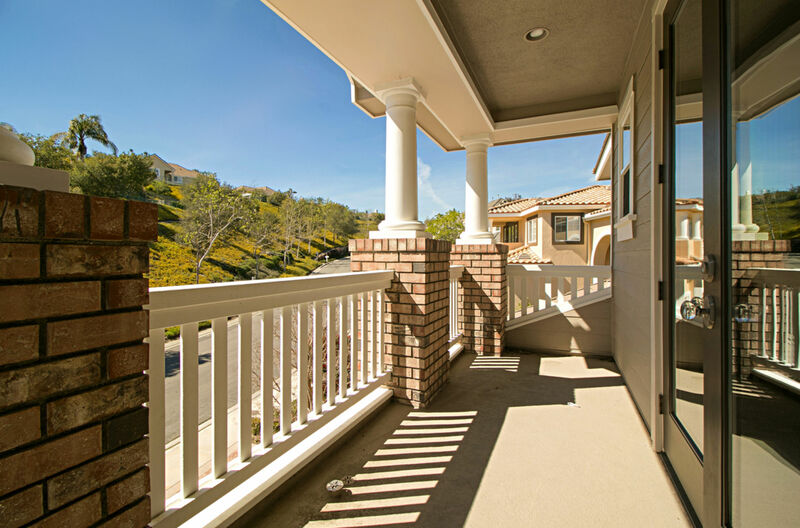 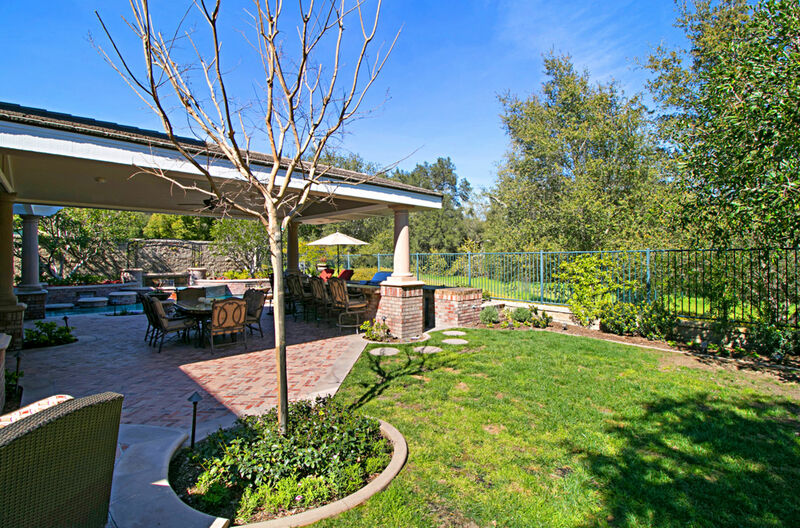 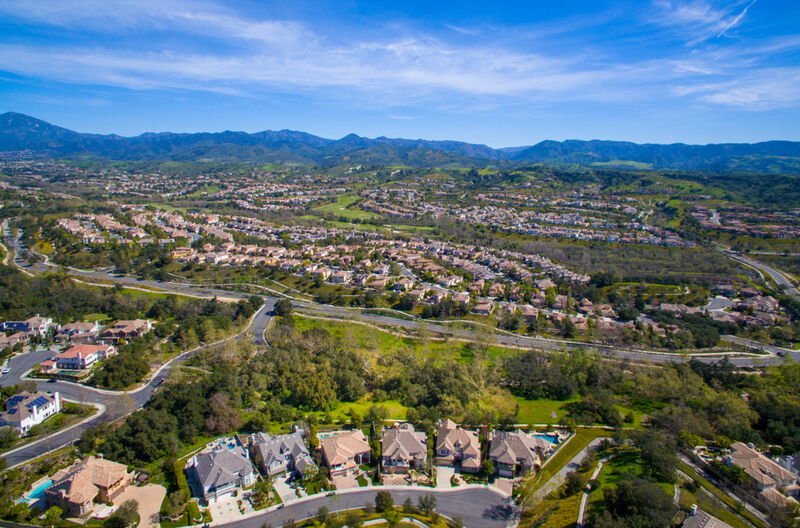 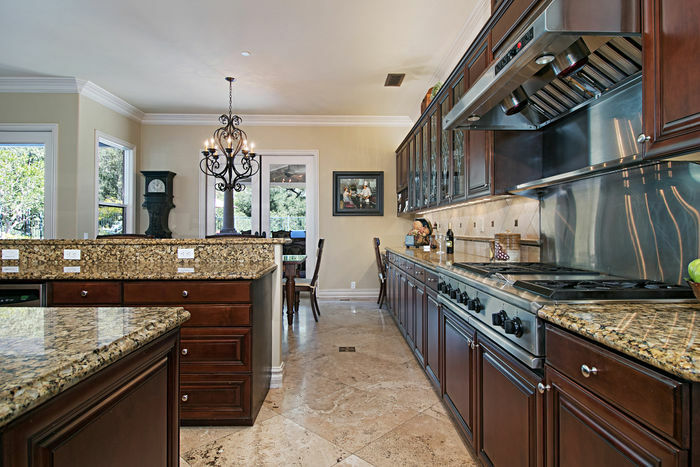 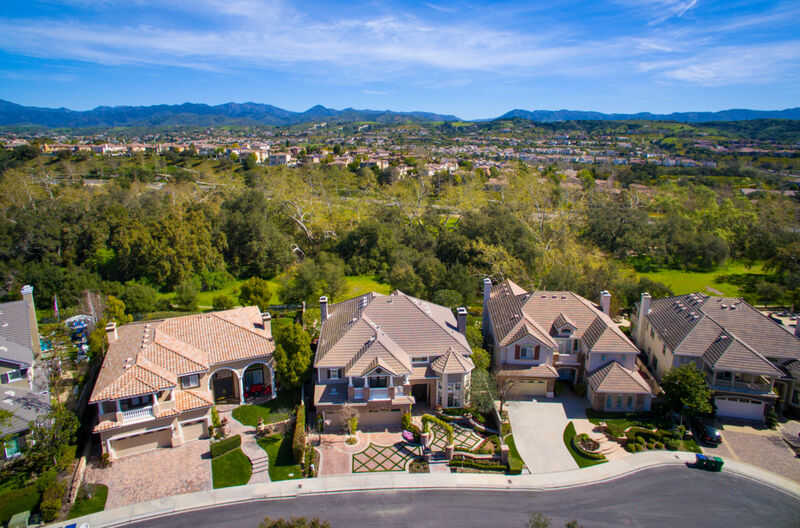 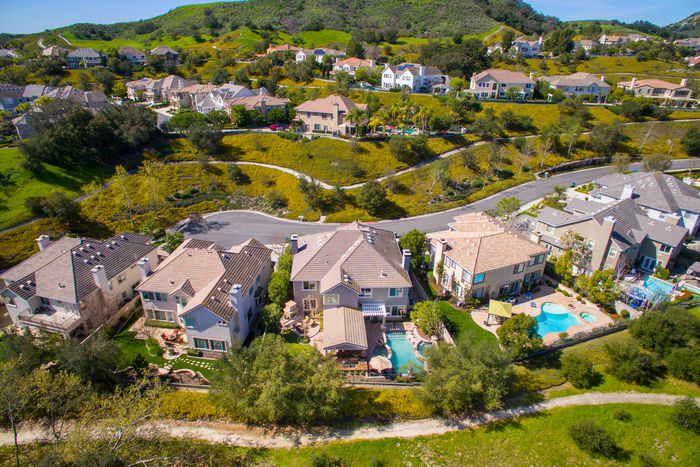 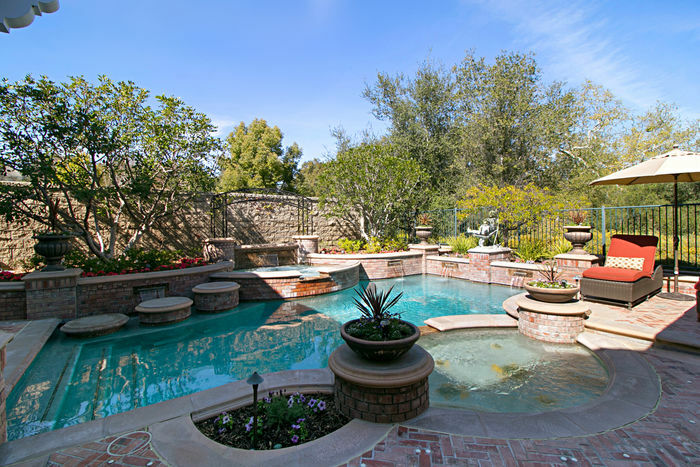 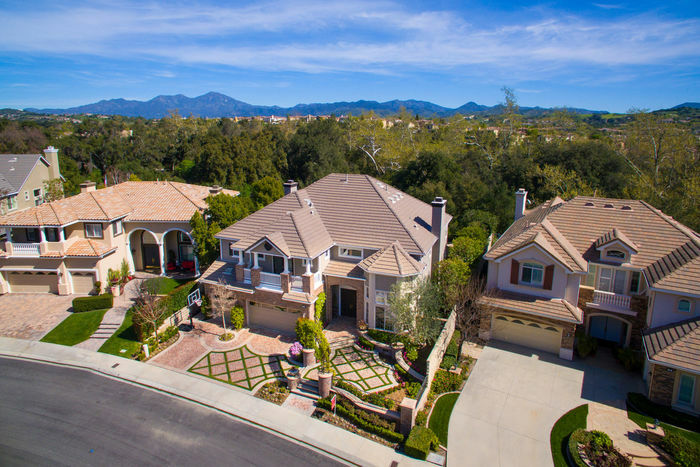 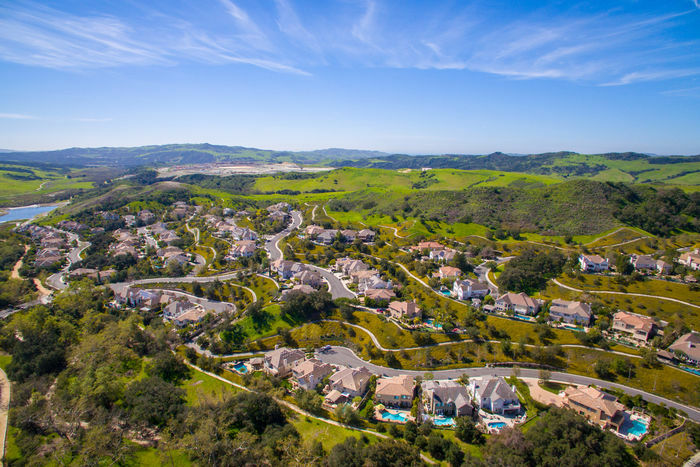 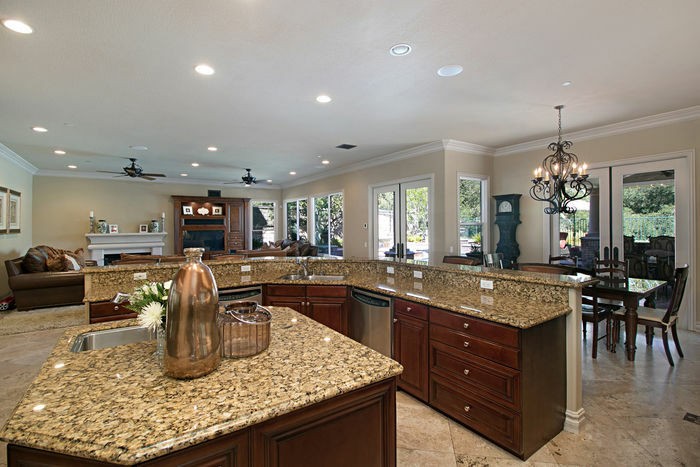 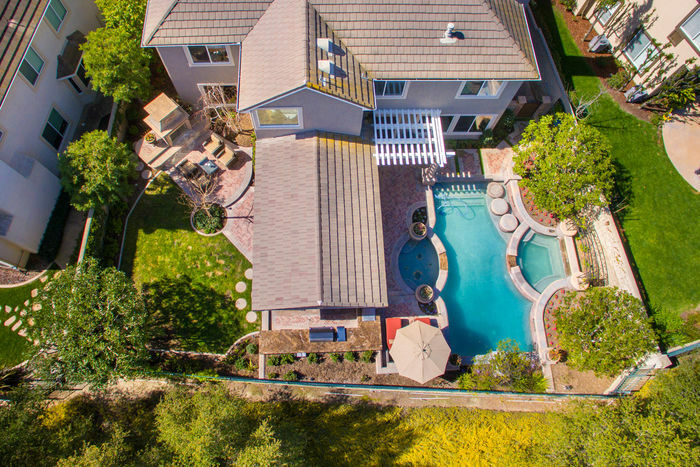 Located behind the double-gates of the exclusive Oak Knoll Summit tract, the property is on a quiet, single loaded cul-de-sac. The approximate 9,400 sq. 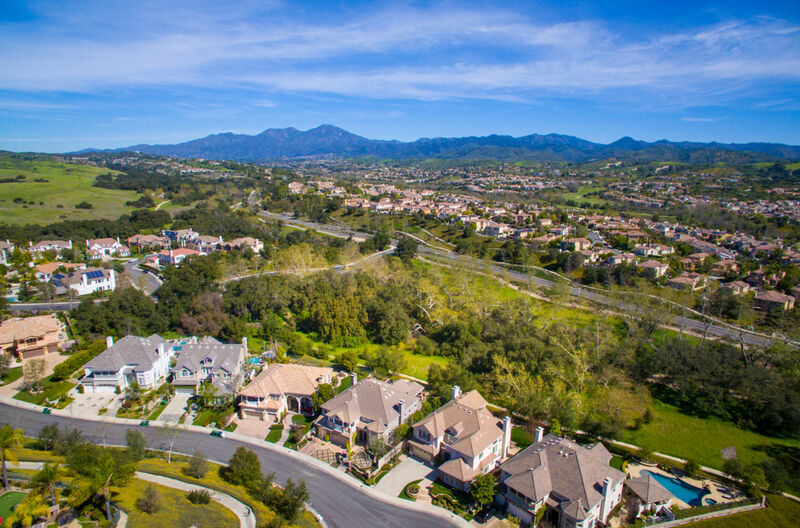 ft. lot is framed by the backdrop of majestic oak trees that line the Riley Wilderness Park, offering both privacy and functionality. 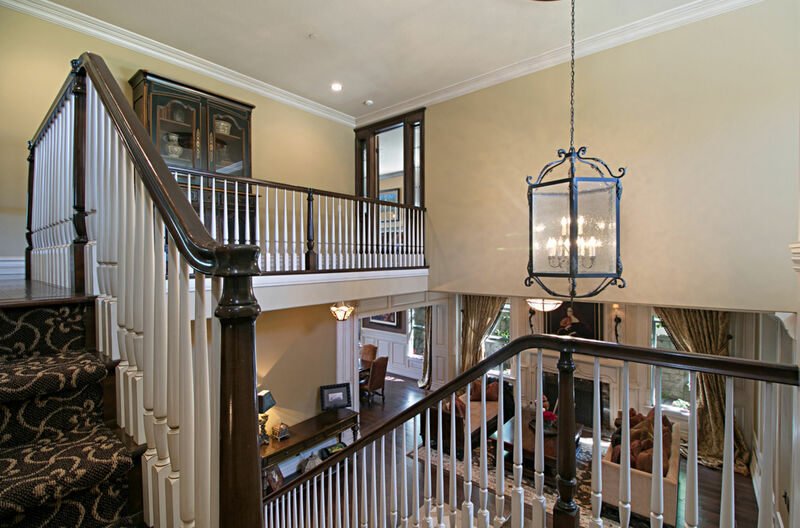 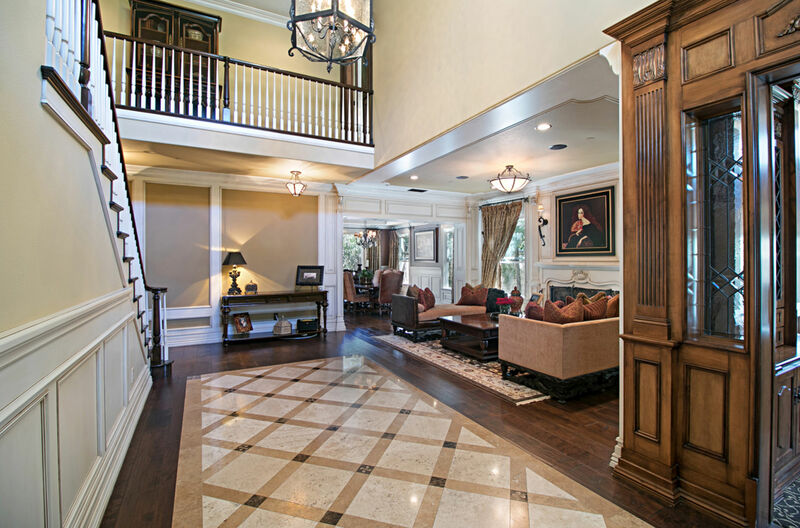 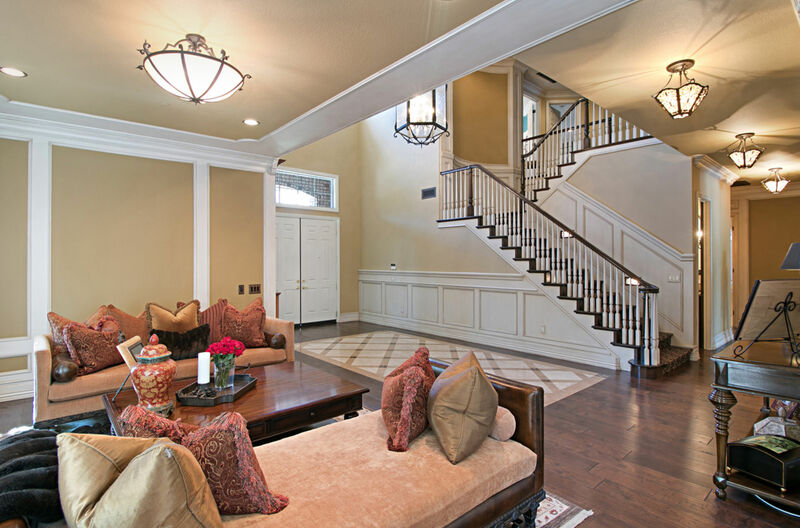 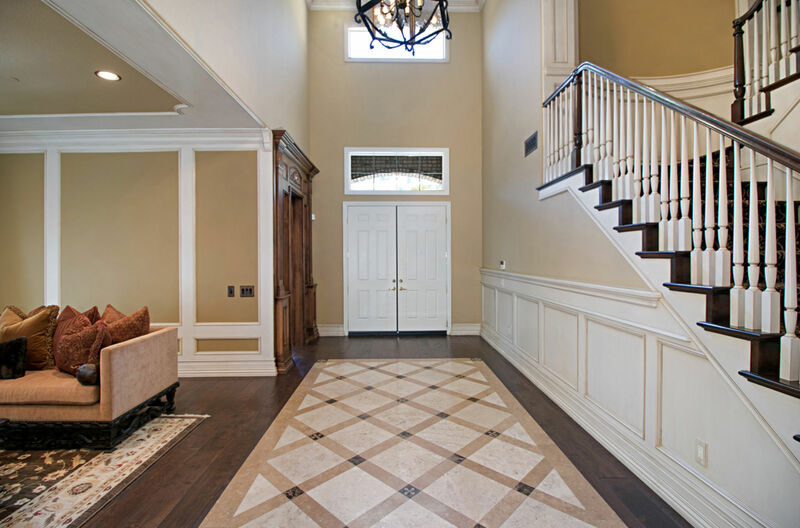 From the minute you enter the home, you will see the attention to detail, breathtaking woodwork and impressive finishes. 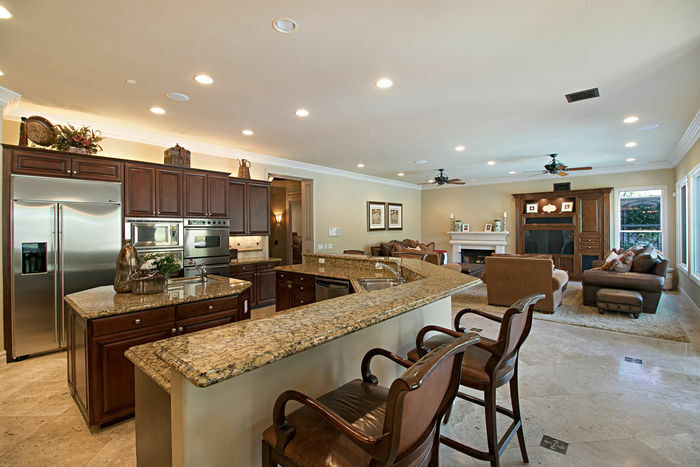 The gourmet kitchen is designed for entertaining and cooking with a center island, stainless steel appliances, upgraded granite, dual dishwasher and sink, warming drawer, spacious walk in pantry, gorgeous glass cabinetry and double french door access to the outside dining area. 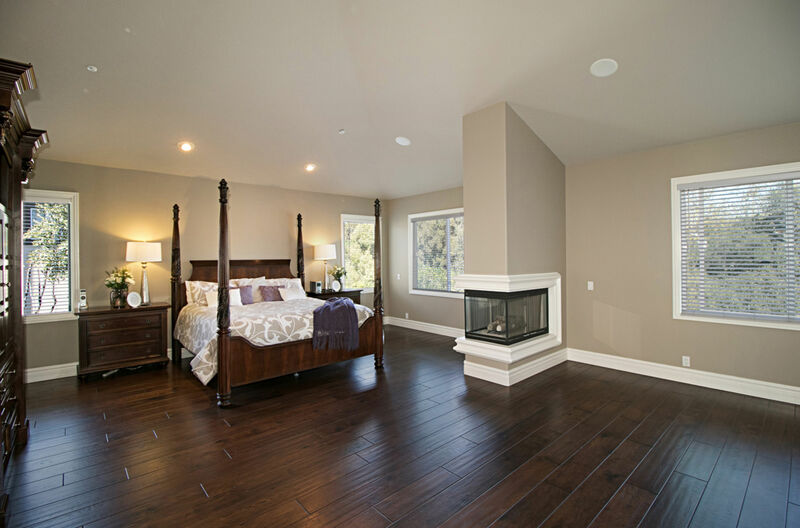 The master suite includes room for a quiet retreat with a two-sided fireplace, glass block shower and oversized jetted tub. 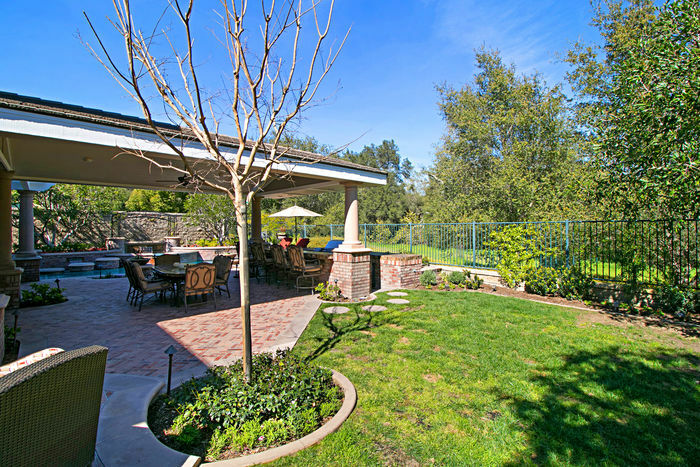 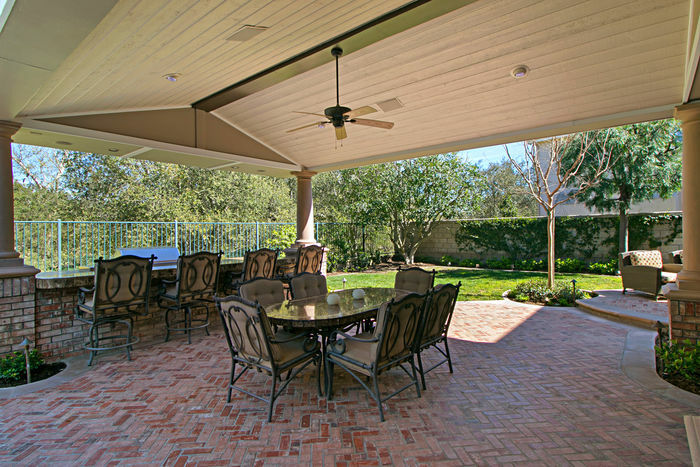 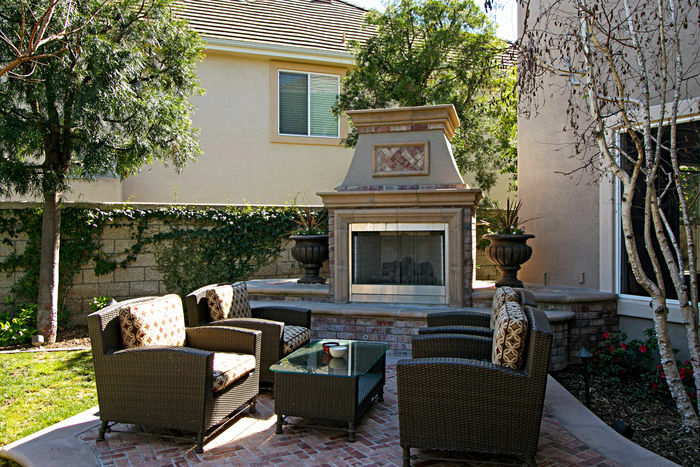 The backyard is very well done and perfect for entertaining. 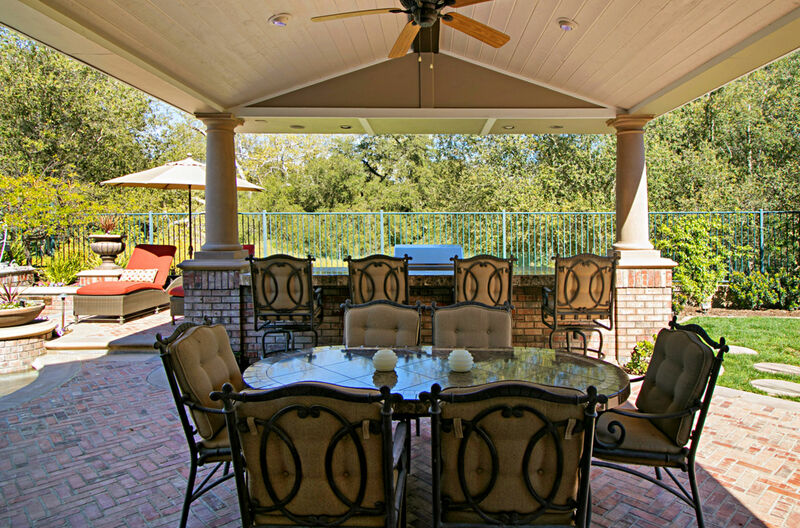 Among its many features, includes a pool, toddler pool, spa, built-in BBQ, outdoor fireplace, covered patio & grass area. 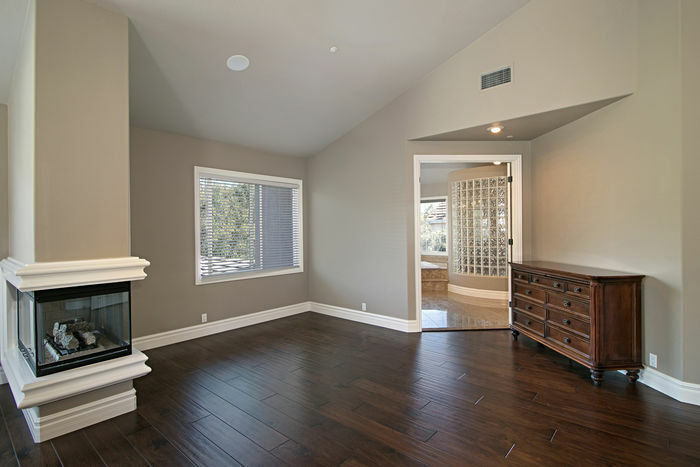 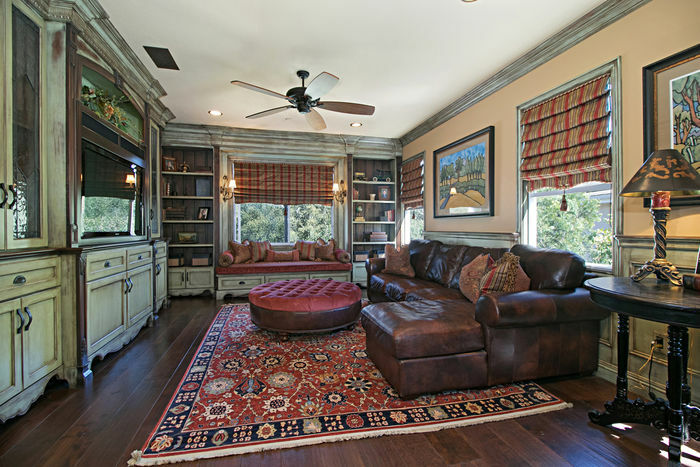 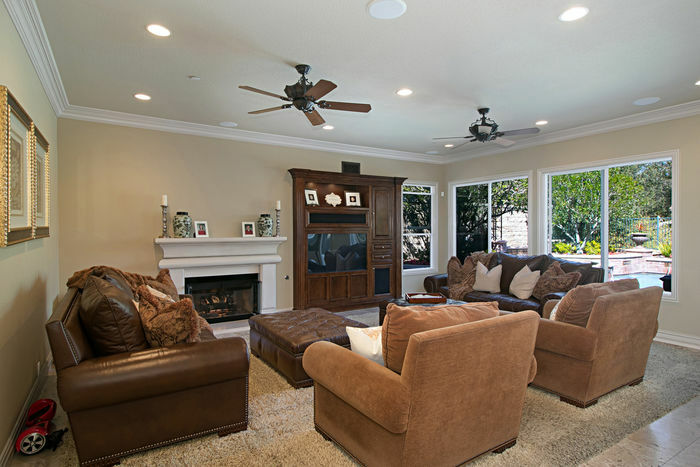 The 3 garages offer custom built-ins and epoxy floors. 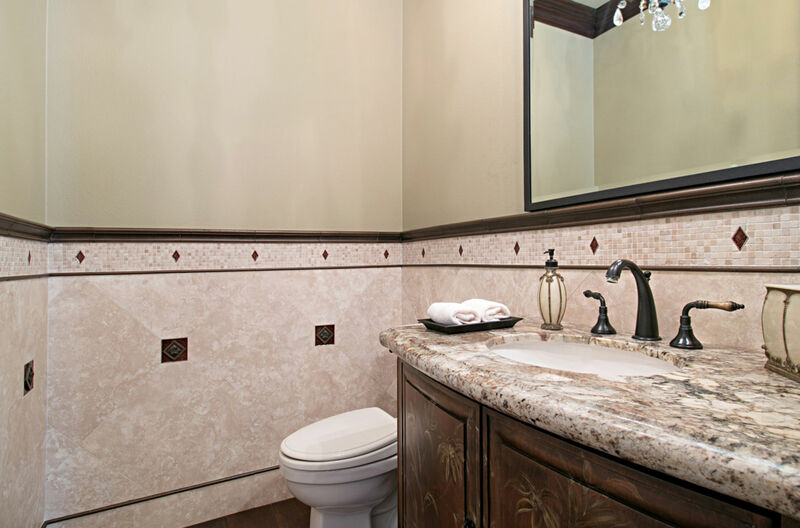 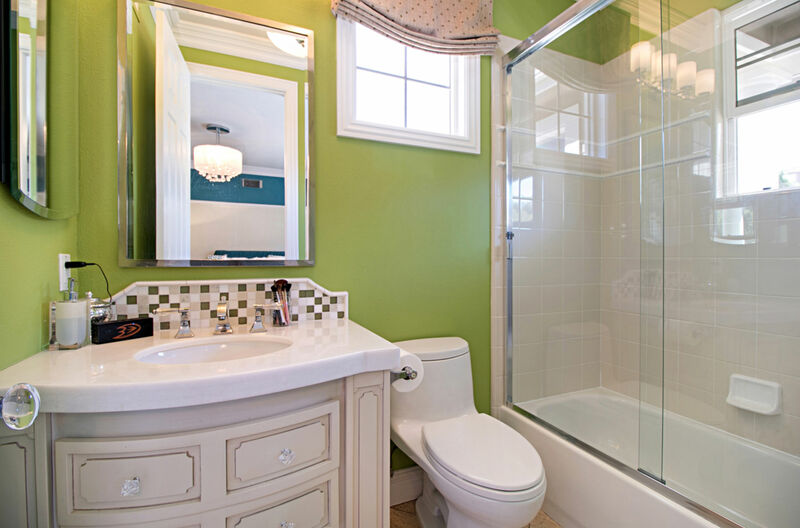 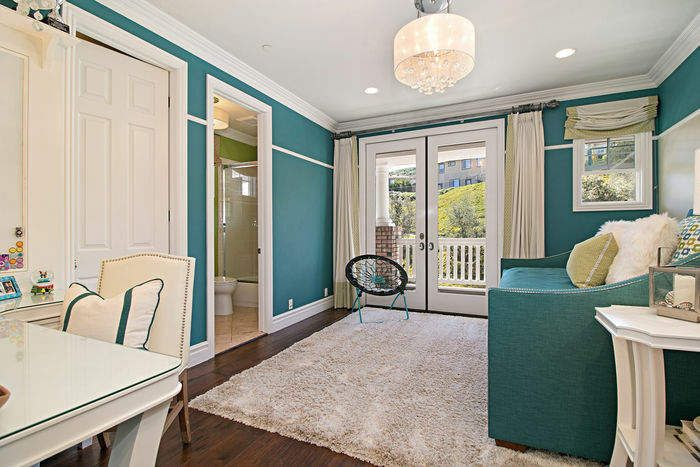 This home has a freshly painted exterior and a Life Source whole house water system. 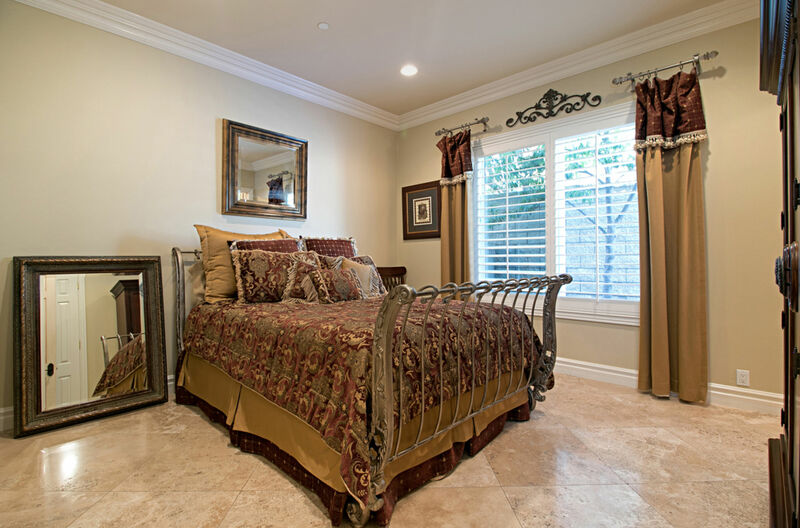 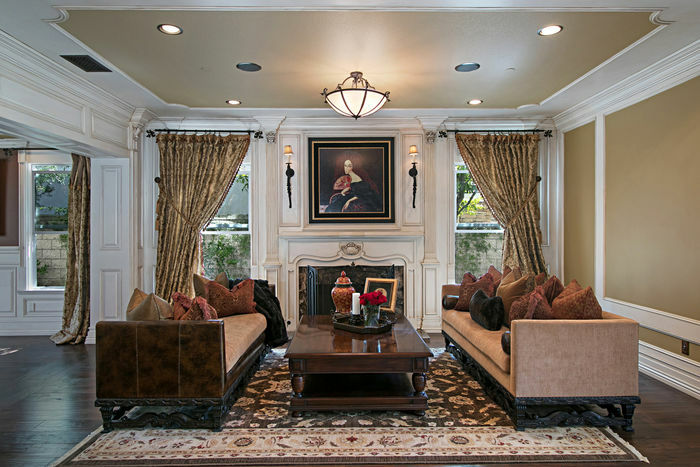 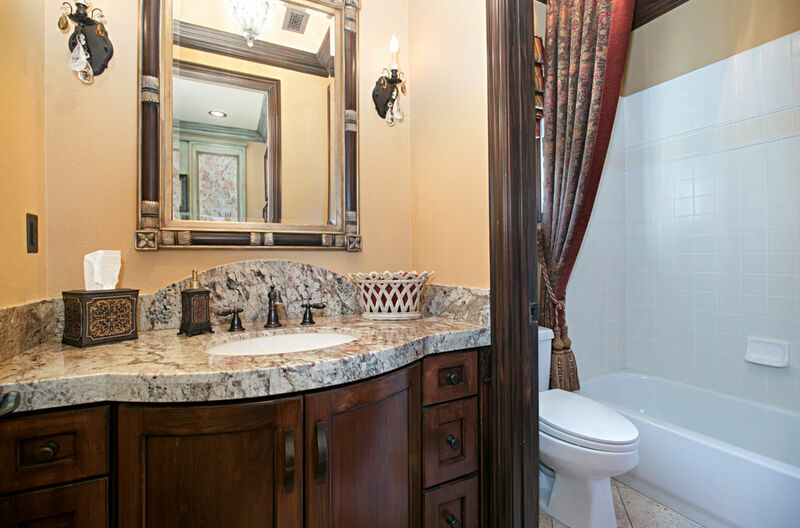 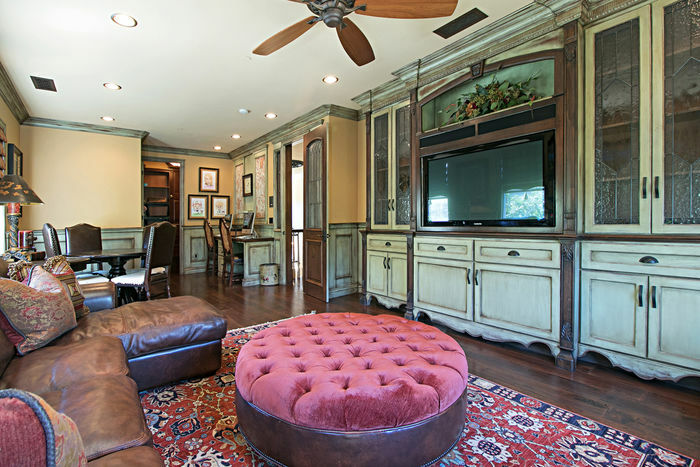 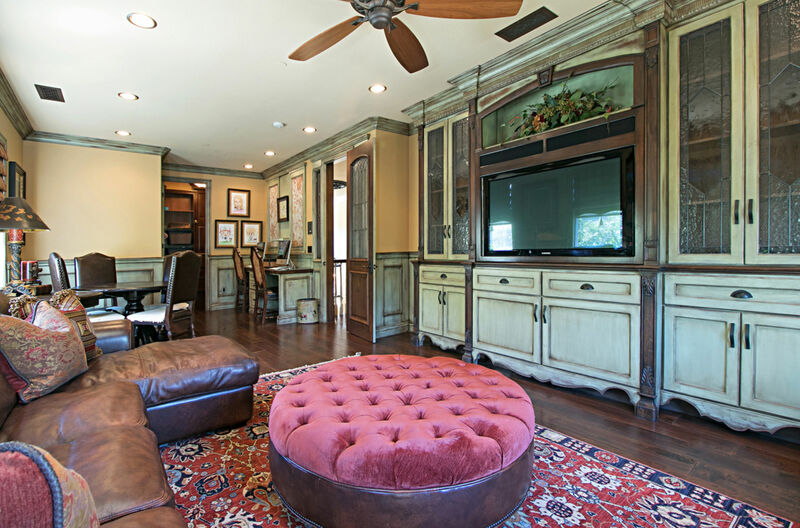 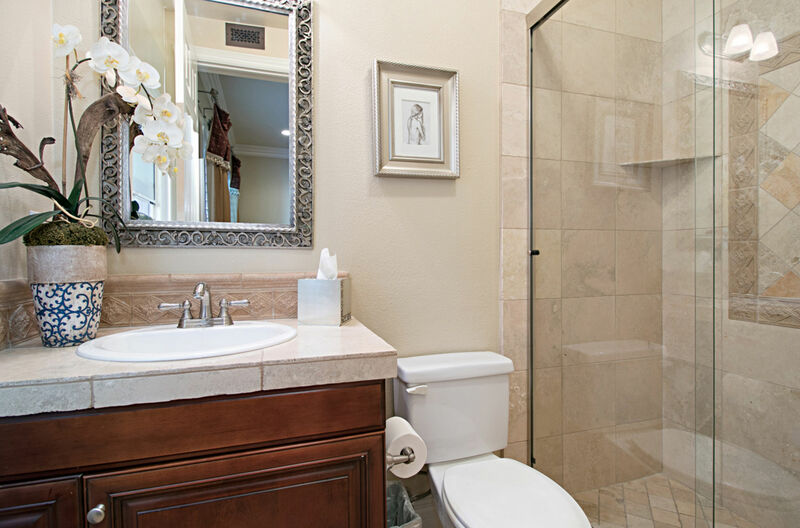 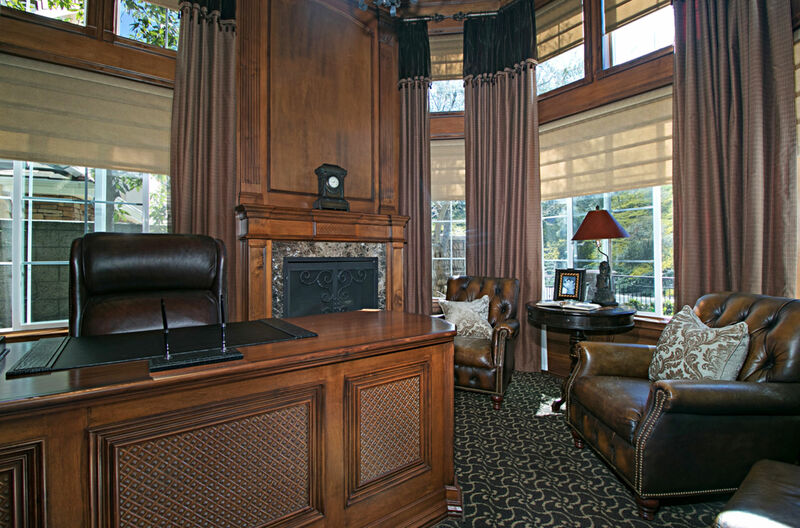 This is truly an elegant property that offers itself to those that appreciate the very best.